At the end of Part I, Anne Ewers was named General Director of Boston Lyric Opera amidst extremely challenging conditions – producing Wagner’s four-part Ring cycle had left BLO on the brink of financial collapse, with orchestra members refusing to play until their debts were paid. The Emerson/Cutler Majestic Theatre, home to Boston Lyric Opera from the 1989-1990 Season through the 1997-1998 Season. Anne Ewers’s immediate challenge was to convince the musicians’ union that they had placed themselves and BLO in a catch-22 situation: the orchestra refused to play for BLO because its members were owed money, but BLO could only raise money to pay off the debt if it was performing before the public. Instituting tight fiscal policies, Ewers demanded of the Board of Directors that they fully underwrite the costs of her first planned production, thereby enabling her to promise all resulting ticket revenue to the orchestra as a payment on the debt owed them. Union officials and the Board accepted these conditions for allowing the Company to return to the stage, and in January of 1985 BLO mounted an interesting pairing, a Mozart/Salieri double bill, and began the long climb back to solvency. Ewers was able to regularize the financial workings of the Company which resulted in its stabilization. In published interviews she cited the Board of Directors under the leadership of President Randolph Fuller and Chairman Ann Monks Barry for its generosity. The level of financial support given by the Board at this time was characterized by OPERA America (the national service organization for opera) as the most generous of any in the country on a percentage-of-budget basis. Ewers’s administrative abilities and fund raising skills impressed others in the community as well. Perhaps as a vote of confidence in the new fiscal management of the Company, the Boston Arts Lottery Council recognized BLO with a grant for the first time during the 1985-1986 season. The Massachusetts Council on the Arts and Humanities offered a Merit Aid grant for the 1986-1987 season, again its first such award to the Company, and the National Endowment for the Arts (NEA) followed suit in the 1987-1988 season. The recipients of this last award were categorized as arts groups of unusual promise, and the grant allowed the Company to engage in long term planning for the first time in its history. In another act of recognition of its potential during this period, BLO also received two OPERA America “Opera for the Eighties and Beyond” grants in support of commissioning new works. The first one resulted in Countdown, which was premiered by BLO in 1987, the first entirely computer-assisted opera ever produced; the product of the second grant did not, however, come to fruition at BLO. John Balme was completely unemployable as a musician in Boston as long as the union held him responsible for its members’ being owed money. In early 1985 he moved to New York to become artistic director of the newly formed American Opera Theater, an organization created for the purpose of identifying and developing promising talent. He arranged for a series of operatic concert performances at the Tremont Temple’s Converse Hall by a Boston offshoot of the organization that he called the Opera-of-the-Month Club. Dedicating the ticket revenues to debt repayment, he contributed significantly to the deficit reduction process and was allowed to return to Boston to conduct BLO’s 1986-1987 season, taking the position of principal guest conductor. By such means and through the continuing generosity of a few individuals, BLO completely retired its debt before the beginning of the 1987-1988 season and in fact managed to amass a small endowment. BLO had essentially survived the debt crisis intact but did not immediately enter into its next period of demonstrable artistic growth. With strict budget constraints in place, the scale of what could be performed was very limited, and BLO and Ewers returned to the practice of casting locals, suggesting that the use of non-Boston based singers for the Ring cycle had been a temporary deviation from the mission of showcasing regional singers. However, critics often found the particular casting choices at odds with standards of excellence, indicating perhaps that uncertain funds narrowed the range of available singers. Similarly the Company was constrained to programming brief two-opera seasons of two performances per work from the 1986-87 season forward. Ewers did manage to expand and broaden community outreach programming by such means as participation in Boston’s annual First Night Celebration, collaboration on productions with the Boston Theater of the Deaf, and the creation of special events series like the citywide John McCormack Week, so that the Company would remain as visible in the community as possible. She introduced a “themed season” for 1988-1989 with programming dedicated to exploring the events of the French Revolution in anticipation of the upcoming 200th anniversary of its beginning, and she sought and gained for it the endorsement of the French Consul General in Boston and named him Honorary Chairman of the season. On the whole, BLO did not garner much praise for artistic achievement during this period but it did stay in the black and in the news. Looking forward with optimism it scheduled two larger scale works, Tosca and La Traviata, and a concert performance of The Flying Dutchman for the 1989-1990 season. Although strong artistic growth did not characterize the late 1980s for BLO, this period was nevertheless more than merely an era of consolidation and stabilization. As a result of Ewers’s vision of a larger role for BLO in the community, BLO would undergo dramatic changes before the plans for the 1989-1990 season could be implemented. Utilizing the NEA Advancement Award of the 1987-1988 season, the Board, under the leadership of Ann Monks Barry, had begun working with an arts consultant, Richard Gaddes, to shape future growth. Following Gaddes’s recommendation it moved to establish the position of General Director as a full-time job at a salary level calculated to attract top candidates. Although the Board invited Ewers to apply for the position she declined the offer, citing her love of stage direction and her desire to continue with that aspect of her career. By February of 1989 the search had begun for her successor. Balme then left the Company in order to focus all of his attention on the General Directorship of the Lake George, NY Opera Festival, a position he had held concurrently with that of BLO Artistic Director in preceding years. The concert-style Dutchman performances of January, 1990, concluded his career in Boston. The other major step forward that resulted from the grant-supported strategic planning was a change of performance venue, beginning with the 1989-1990 season. BLO would move from Northeastern University’s Alumni Auditorium to the Majestic Theater, a 1903 Beaux Arts style 850-seat proscenium house in downtown Boston. The terms of the lease required the owner, Emerson College, to improve and enlarge the orchestra pit in order to accommodate the orchestra BLO would employ for its performances. The college was already committed to restoration and modernization of the theater in accordance with its status as a Boston Historic Landmark building. Given that the handsome theater had originally been designed specifically for opera and spoken dramatic performances, this move was seen by the community as a positive sign of growth by BLO. In June of 1989 BLO hired Justin Moss to be the next General Director of the Company, signing him to a three-year contract. He had previously worked in administrative positions at musical and medical libraries in California and then at Virginia Opera and Baltimore Opera, where he had been Director of Development and then General Manager. They also engaged Richard Gaddes as Artistic Advisor with a one-year contract. Gaddes had had extensive experience with arts management and administration both in his native Great Britain and in the United States. In particular he had served Santa Fe Opera as Artistic Administrator, introducing important new talent there, and had then co-founded Opera Theatre of Saint Louis and served as its General Director from 1976 to 1987. He was President of Grand Center of St. Louis, a performing arts umbrella organization, and was concurrently serving as a consultant to Santa Fe Opera’s Apprentice Program for Artists, when he agreed to advise BLO on artistic matters. Clearly the BLO Board believed that continued artistic growth would require parallel growth of administrative infrastructure. By appointing its first full time General Director and hiring an experienced Artistic Advisor it was creating a more highly professionalized leadership team than ever before. The Board took the process another step forward when, at the urging of Gaddes, it hired Stephen Lord as Music Director, in September of 1990. A Massachusetts native, Lord had had extensive conducting, consulting, and teaching experience with a variety of American regional opera companies and was head of the Opera Program at the St. Louis Conservatory and Music Director-designate of Opera Theatre of St. Louis. BLO had decisively left behind the “Jack-of-all-trades” model of administration that often characterizes fledgling arts organizations. No longer would one individual be responsible for multiple aspects of company function, as Ernest Triplett had been when he had prepared for singing roles, answered the phone, and raised funds in the early days of AAO, nor as Richard Marshall had been when he had rehearsed the orchestra, built sets, and directed the staging of operas for NERO, nor even as Anne Ewers had when she had served as both part-time General Director and resident stage director at BLO, often unpaid for one or more of these activities. BLO was further establishing itself as a permanent and stable professional component of the Boston arts scene. In published interviews, the newly-hired Moss described his vision for BLO as one of presenting a repertory mix suited to the scale of the Emerson Majestic Theater, specifically including American works, and introducing important young American singers. Gaddes emphasized his interest in young talent and his passion for building regional opera. Lord, too, stated a commitment to the development of young singers, although he noted the importance of including in productions experienced singers from whom their younger colleagues could learn. From the beginning their formula proved very effective both fiscally and artistically despite the adverse economics of the times. As Moss took over the General Directorship BLO began to regularly sell out its performances at the Emerson Majestic Theater, and he was able to sustain this and other measurable forms of growth throughout his three-year tenure. While maintaining balanced books, the Company increased its annual budget from $200,000 to over $1,000,000; added an additional performance to the run of each of the season’s three operas; and expanded its subscription base from about 250 to over 1,400. The number of professional full-time staff rose to five, all this within three years of the naming of Moss as the Company’s first full time General Director. Taking over at the start of the 1989-1990 season, which had been planned by the previous artistic team, Moss made substantial changes to the final opera of the season by engaging a new stage director and conductor and by professionalizing the work of the chorus. Critics praised the production for meeting higher standards of artistic excellence than almost all of the Company’s previous work. Artistic standards continued to rise, with critics recognizing much improvement in the orchestra and chorus and more theatrically compelling stage direction. Some of this was achieved by engaging as stage directors people from outside the world of opera, such as choreographer Bill T. Jones, who directed the Company’s 1992 production of Weill’s Lost in the Stars. Important emerging talent was showcased, Deborah Voigt most notably, and highly accomplished Boston-based singers such as Robert Honeysucker and Mary Ann McCormick were featured. In March of 1992 BLO premiered Michael Kaye’s new critical edition of Offenbach’s Tales of Hoffmann, an event that drew international attention and signaled BLO’s rising status among regional opera companies. Through Gaddes and Lord, BLO established a working partnership with Opera Theatre of St. Louis, perhaps a natural outcome of Lord’s holding the position of Musical Director with both companies and of Gaddes’s continued involvement in the St. Louis arts community. The first opera planned as well as staged by the Moss team, Daughter of the Regiment, was a reworking of a production originally presented in St. Louis, retaining the original sets and costumes but recasting most of the vocal roles. The practice of borrowing and renting productions created by other successful regional companies became an important planning model for BLO during this period. Striving for the highest levels of regional opera excellence seemed a most suitable goal for BLO, as Sarah Caldwell and her Opera Company of Boston still occupied the position of preeminence on the Boston opera scene. As long as there was any chance that the seriously ailing finances of her company might undergo recovery there was little likelihood of BLO or any other Boston company rising to greater prominence. But just prior to Moss’s tenure with BLO, Boston’s opera landscape had begun to undergo dramatic changes. Within the short span of Moss’s three-year contract Boston would see the final demise of Caldwell’s Opera Company of Boston, the creation and subsequent dissolution of a brand new major league opera company, and finally the arrival of new Board leadership and new administrative governance at BLO. The seeds of change had been sown during the mid-1980s when Boston’s funding and civic communities began to squarely address the impossibility of the Opera Company of Boston ever overcoming its debt, ultimately believed to have been in the range of $7,000,000. Further, Caldwell’s illness and hospitalization in 1985 had forced her Board to cancel the entire season scheduled for that year, an act that demonstrated vividly to all the extent to which Caldwell was the Opera Company of Boston. The revelation distanced and embittered many former supporters who had imagined they were building an enduring Boston arts institution around her. Potential solutions to the Company’s problems were subsequently advocated for by various members of the local media: the Company should declare bankruptcy followed by reorganization; the Massachusetts Convention Center Authority should take over the Opera House and after paying off the debt owed on it, rent it back to Caldwell; the City of Boston should create a Midtown Cultural District with a thoroughly renovated and privately owned Opera House as its linchpin. Recognizing the need to change its mode of operation if it were to stave off all such manner of takeover, the OCB tried to reorganize from within. In July of 1987 Robert Canon was hired as CEO of the Company, a title that replaced the former unpaid position of president and incorporated the duties of the general manager. Canon had had extensive experience as an arts administrator, having founded and directed the division of local programming of the National Endowment for the Arts in Washington, and prior to that having served as Director of the Galveston Arts Center and then as Executive Director of the San Antonio Arts Council. He was well regarded by both the business and the arts communities. Significantly, in his position with the NEA Canon had worked with Bruce Rossley, Boston’s Commissioner of Cultural Affairs. Speaking for city government, Rossley expressed confidence in Canon’s ability to restructure the Opera Company and to work with the city to insure its continued viability. However neither Canon nor city leaders were ultimately able to envision a restructuring plan that would allow Sarah Caldwell to maintain anywhere near the level of control over the Company she had always commanded, and the Company quickly became rife with dissent over how to proceed. Canon was accused of having secretly plotted with anti-Caldwell forces to shut down the Company and replace it with a totally new entity, one that had but a limited role for Caldwell. Her supporters on the Company’s Board had Canon suspended from his position in March of 1989 after the details of the planning were prematurely made known to the public. When the Midtown Cultural District Task Force reacted strongly in the negative to his dismissal, he was quickly reinstated. In May of 1989 Canon conclusively resigned from the Opera Company of Boston, taking with him a number of the Company’s Board members who shared his desire to form a brand new company completely independent of Caldwell’s organization. Burdened by insurmountable accumulated debt and by the need for sizeable and extensive repairs to the infrastructure of the Opera House, the Opera Company of Boston ceased operations in June of 1990. In January of 1991 the Opera House was boarded up and left to decay even further. At the heart of all the plans to reorganize or replace the Opera Company of Boston was the goal of creating a board-governed professionally managed organization, one that was fiscally responsible yet artistically exciting. An additional feature was the desire to focus once again on the richness of the Boston music community, the very same goals toward which Boston Lyric Opera had been orienting itself. But there did not appear to be a groundswell of interest in having Canon’s group join forces with BLO, perhaps because most of the plans proffered would have involved the hiring of Craig Smith, a highly respected local conductor, and Peter Sellars, a daring and dynamic young stage director fresh from Harvard, in the chief artistic leadership roles of the new company. There existed in BLO’s funding community strong opposition to Sellars’s directorial interpretations, making the Smith/Sellars team an unlikely choice for the Company. During the mid-1980s the Smith/Sellars duo had teamed up to create several controversial operatic productions featuring local singers that drew international attention. In particular their settings of the three Mozart/DaPonte operas in modern day urban environments had caused a sensation. Staged by Sellars, these works had originally been produced in collaboration with Boston’s Emmanuel Music, where Smith was the artistic director, and they had subsequently been performed and recorded in several European venues and televised nationally at home on public television. Many Bostonians bemoaned the fact that only one of them had ever been performed in the Boston area and grimaced at the farcical irony of a scenario in which a company featuring Boston-based singers in productions created in Boston was not actually performing those works in Boston. By July of 1989 Canon’s new company, soon to be named the Boston Opera Theater (BOT), had rented an office, recruited Board members, and begun raising capital. Long- range planning indeed called for Smith and Sellars to be hired for the artistic leadership positions, but their own productions were to be only one component of the programming. With Canon serving in the lead administrative role and Kenneth Freed, a Boston real estate developer, chairing the Board, the new company reached out to other opera-producing institutions in the city, declaring their eagerness to collaborate. But standing on the threshold of its move to the Emerson Majestic Theater and with its own new artistic leadership team of Moss and Gaddes about to take the helm, BLO formed no connection with the Boston Opera Theater at this time, preferring to independently chart its own organizational course. Thus Moss’s term with BLO was characterized by substantial growth of both an artistic and an institutional nature, but it played out against a background of turmoil, uncertainties, realignments, and changing expectations in the city. Newspaper headlines shouted “Opera Wars!” and characterized the post-Caldwell situation as a confrontation from which either BOT or BLO would emerge as the premier opera company of the city. Some critics openly advocated for the success of one over the other. Most in the funding community had never believed it possible for BLO to strive for a level of achievement higher than regional excellence, the goal of the Company as identified by Moss, and some critics did not think BLO’s work consistently reached the highest standards against which regional opera companies might be measured. They noted that the quality of the work of some of BLO’s “imported” singers could have been matched or exceeded by local singers. In this way they accused BLO of having betrayed the spirit of its original raison d’être but still not consistently achieving a high level of artistic excellence in its productions. Perhaps deeming BLO unworthy of support in such a skirmish, many people were heartened to learn that Boston Opera Theater was aspiring to a much higher level than regional opera. In a sense its creators and their supporters and fans imagined it would fill the void left in international circles by the demise of Caldwell’s OCB. They expected Smith and Sellars to bring their internationally honed skills and locally trained singers back home to Boston, to BOT. Both BLO and BOT were being called upon to define themselves as “Boston” companies and to set and meet appropriate goals at a time when simply claiming to be the “not Sarah” company no longer had meaning. But the climate of economic downturn of the early 1990s was not an auspicious one for undertaking the creation of an entirely new major cultural institution such as its backers expected Boston Opera Theater to become, a factor that impacted the Board’s ability to raise funds. Despite the meticulously careful planning of its founders, the depth of knowledge of the arts and of business they brought to their task, and their vow never to undercapitalize their work or to operate with a deficit, the company was forced to cease production after its first and only offering. That work, a January, 1991, presentation of the Smith/Sellars vision of Mozart’s Marriage of Figaro, had been a complete success in every measurable way. All five of the performances were sold out, with audience totals near 10,000, and the number of turned-away ticket seekers suggests that several additional performances could have been sold out as well. It attracted numerous out-of-town attendees and critics from a broad range of journalistic organizations. Set in New York’s Trump Tower in modern dress and sung in English, it was not unconditionally beloved by opera-goers but it was widely admired. However it proved considerably more expensive to mount than the BOT administration had projected, and the company found itself with a sizeable debt at the end of the run. The lack of a suitable performance space looms as a major factor in the unanticipated cost overrun. Perhaps the BOT administration had expected that the Opera House would have been purchased from Sarah Caldwell by a governmental agency, thoroughly renovated, and made available to them by the time they were ready to mount their first work, but none of that happened. The Company instead performed in Boston’s Colonial Theatre, a fully unionized and therefore costly venue, a circumstance that may have delivered at least one of the fatal blows to the operation of BOT. The unexpected crash of this reach-for-the-stars effort had a profound effect on the Boston opera community. The accumulating legacy of failed attempts to create an important permanent and enduring Boston-centric opera company heavily reinforced the already wide-spread beliefs that such a dream could never be realized, that Boston is not an “opera town” and would never fully support and sustain high level resident professional opera. If, according to this line of thought, despite its vigorous efforts to avoid the financial pitfalls that had brought down its immediate predecessor, BOT had nevertheless been ensnared by the very same ones, then a similar fate must surely await anyone else who would dare try. Further, for some in the funding community this financially unsuccessful venture reinforced the belief that opera companies by nature cannot be managed in a fiscally responsible way and therefore constitute a poor investment for would-be donors. It should come as no surprise that BLO, mindful of recent events and of its own early debt struggles, would set its sights on incremental growth over the long term toward the goal of becoming the best regional opera company in the country, recommitted to casting local talent wherever feasible, and with the most carefully managed resources and debt-free financial structure possible, avoiding undue risk in order to endure. Many in the opera community continued to dismiss out-of-hand the possibility that BLO could ever become a significant successor to the Opera Company of Boston, and the Company faced criticism for what was termed an excessively conservative outlook and a lack of vision. But BLO stood its course. In order to ensure its long-term stability the Company would balance its commitment to incremental artistic growth with the continued professionalization of its staff and Board of Directors. Just before the 1990-1991 season, Horace Irvine II, commonly known as Hod, ascended to the position of Chairman of the Board, the first in a series of BLO Board leaders who had achieved prior success in the world of business and finance. He believed that BLO could fill the void in Boston’s operatic life that Sarah Caldwell had left in the wake of her financial failure, and he was prepared to work hard to make it happen. His first major task would be to initiate and facilitate many months of ongoing meetings, the ultimate result of which would be the merger of the Boards of BLO and BOT. His second major task would be to oversee the search for the next General Director of BLO. BOT, after suspending operations following the run of The Marriage of Figaro, still had hopes of returning to the stage. The Board had announced a planned collaboration with the Handel and Haydn Society for a production of Mozart’s La Clemenza di Tito the following season, and they held in storage the sets and costumes for the remaining Smith/Sellars pair of Mozart/DaPonte operas, but the futility of these aspirations became apparent as they labored to reduce the Figaro production debt. In September of 1991 seeking to ensure the future of professional opera in Boston and after great deliberation, the Boards of BLO and BOT agreed to merge. This was a complex and multifaceted process, one that would require more than another six months’ worth of discussions in order to be brought to completion. BOT’s debt would have to be retired before there could be any additional movement forward, so the initial announcement was that of the two Boards’ intention to consolidate their efforts toward a common goal. As articulated by BOT’s Kenneth Freed the common principle animating both organizations was the emphasis each placed on presenting theatrically valid productions in a relatively small house. Only their approaches to meeting that goal had differed, he stated, and he characterized it as a hare vs. tortoise situation, with BLO clearly the tortoise. After an interim breakdown in talks fueled by differences of artistic agendas and personalities, the final resolution was announced in April of 1992. There was to be a joining of the “creative energies” of the two Boards but no true legal merger of the two organizations, no transfer of assets or liabilities. In February of 1992 amidst all the talk of “opera wars” and the anticipated “truce,” General Director Justin Moss announced that he intended to leave BLO at the fast-approaching end of his contract, although he declared his willingness to continue working with the Company until his successor had been chosen and installed. Assisted by BLO Board Vice-Chair Ted Dintersmith, Hod Irvine determined that the search committee formed under Board Clerk Michael Lytton to choose a successor to Moss should be supplemented by an ad hoc advisory panel that would include several BOT Board members and other representatives from the broader Boston music community. Some BOT Board members had remained reluctant to commit to the new merger agreement, but apparently this act of outreach won their favor, and the consolidation of the Boards was enacted. Many in the opera community perceived the gesture as the beginning of an important new chapter in BLO’s history and in the story of opera in Boston. During the period of the Board merger negotiations Irvine had been advised by an arts consultant who had impressed him. The search committee, after screening multiple candidates for the position of General Manager and interviewing six of them in depth, recommended the arts consultant for the job. She was Janice Mancini Del Sesto, and she would hold a leadership post as the head of BLO for the next 16 years. Next week! Read about the Del Sesto era at BLO, a time of growth, change, and BLO’s first big anniversary celebration, with Carmen on the Common. The 40 Seasons of Boston Lyric Opera: A History continues on blog.blo.org! The Impresario, music by Wolfgang Amadeus Mozart, libretto by Gottlieb Stephanie the Younger, English adaptation by Giovanni Cardelli, paired with First the Music, then the Words, music by Antonio Salieri, libretto by Giovanni Battista Casti, performed January 11, 13, at Northeastern University Alumni Auditorium; this was the era of popularity of Peter Shaffer’s play, Amadeus, and Milos Forman’s film adaptation of it, in which Mozart and Salieri were portrayed as bitter rivals. The 1986 Alice was “shadowed,” with signing actors performing beside the singers; also shadowed were The Barber of Seville, music by Gioacchino Rossini, libretto by Cesare Sterbini after the Pierre Beaumarchais play, English translation by Ruth and Thomas Martin, performed March, 11, 1986, at Northeastern University Alumni Auditorium; The Turn of the Screw, music by Benjamin Britten, libretto by Myfanwy Piper after the Henry James novella, performed March, 1987, at Northeastern University Alumni Auditorium. John McCormack Week was celebrated from March 4-10, 1985, by proclamation of Mayor Raymond L. Flynn. BLO presented a concert of McCormack favorites performed by Robert White on March 8, 1985, at Converse Hall of Tremont Temple, and there were showings that week of the two known McCormack films and citywide displays of related memorabilia. The 2,900 seat B.F. Keith Memorial Theatre, built in an elaborate combination of French and Italian style, opened in 1928 as a vaudeville palace on the Keith circuit and then served as a movie theater. Purchased in 1965 by Sack Theatres and renamed the Savoy, it continued to show films until Caldwell bought it in 1978 and renamed it The Opera House. The building was eventually purchased by Clear Channel in 2002, thoroughly renovated with historical accuracy, and reopened in 2006. The Boston Ballet and touring Broadway shows have taken to its stage since then. Emmanuel Music is an ensemble of musicians and singers founded by Craig Smith in 1970 and led by him until his death in 2007, an organization affiliated with Boston’s Emmanuel Church. Originally focused on baroque music, it has expanded its repertoire into the contemporary era. 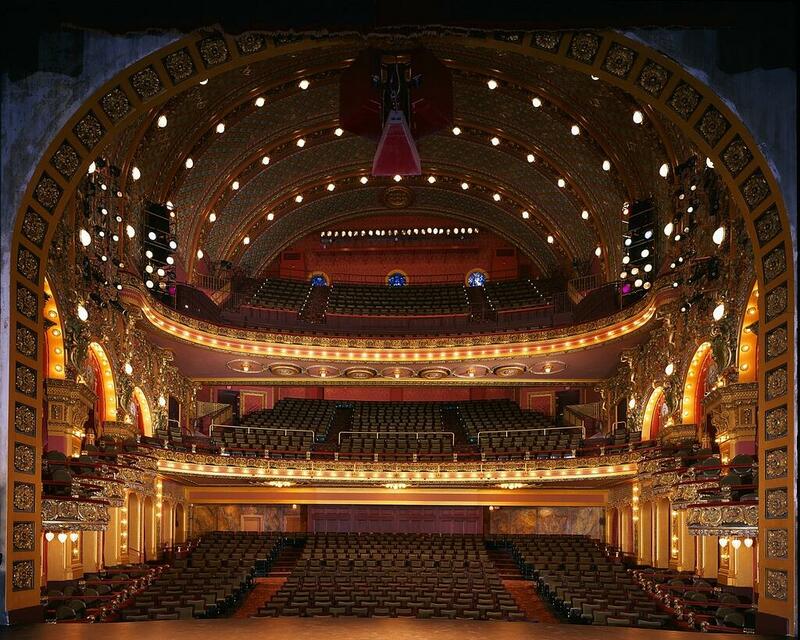 The Colonial Theatre is a handsome 1,700 seat Beaux Arts-style theater built in 1900 for staged drama. His immediate successors as Board Chair were J.P. Barger and Sherif A. Nada. Barger was instrumental in forging a connection with the technology community and bringing some of its members to the BLO Board. Nada was effective in broadening business connections for the Company. The Handel and Haydn Society is a period instrument orchestra and chorus, founded in 1815, that presents Baroque and Classical music in historically informed style. Participants included Lawrence Perera, President of the Boston Opera Association; Eric Mourlot, Kenneth Freed, and Lawrence Smith from the Board of Directors of Boston Opera Theater; Phyllis Curtain, dean of the School of Fine Arts at Boston University; John Moriarty, head of the opera department of New England Conservatory; Walter Palmer from the Board of Directors of New England Conservatory; and Bruce Rossley from the City of Boston’s Commission of Cultural Affairs.